In this series I am capturing images of a city being transformed, much like a faded photograph of a past landscape. The boarded up row home, abandoned theater, and deteriorating buildings are images I see day to day in Newark. 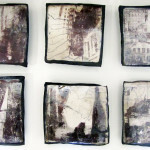 By printing these images onto ceramic tiles, and raku firing them, both the material and technique speak to the fragility of the shifting urban landscape. 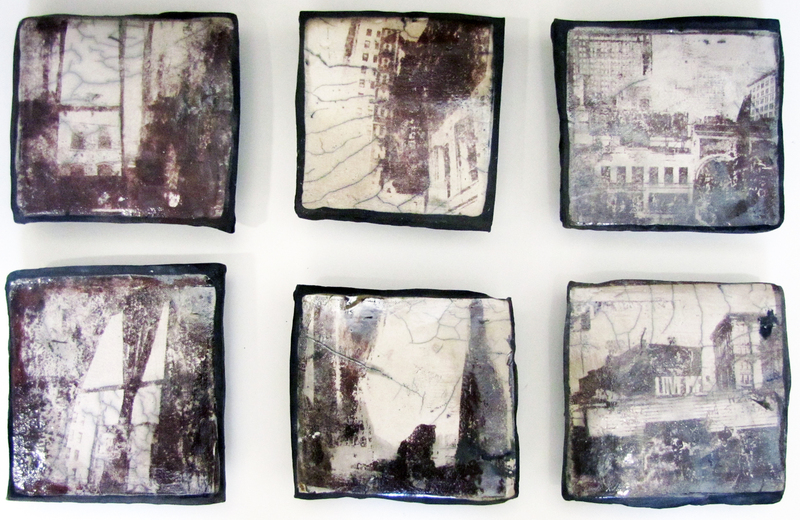 Ceramic tiles with xerox lithography prints, raku fired, 2014.